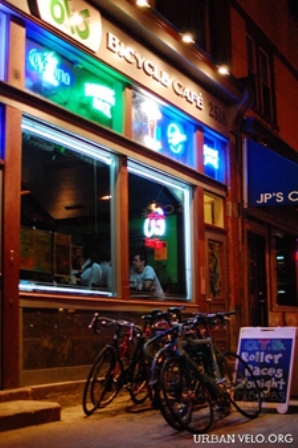 The picture is of OTB Bicycle Cafe on the Southside – they opened a few months back. Super rad place with great food, great beer and BIKE stuff everywhere! Mike Kotyk, owner of OTB, and I have finally hooked-up and we will be planning some good bike rides together – tazza d’oro and OTB. I bet there’s going to be a lot riding from Highland Park to the Southside this season! Mike, how bout carrying a tazza d’oro espresso stout – let’s do it! A week or two ago I stumbled across your blog and have been following along. I felt I would write my first comment. Im not sure exactly what to write but that Ive really enjoyed reading. Nice site. I shall continue visiting this website frequently. I have also taken your RSS feed to get any updates.